With the average UK wedding setting couples back a rather life changing £20,000, it’s little wonder that people are seeking more budget friendly alternatives. To save money, you don’t have to have a bland wedding, without the things that truly seperate your individual style from anyone else’s – you can simply find the right accessories to complete your wedding style, at the right price. This is one of the reasons we have chosen to feature Confetti.co.uk. 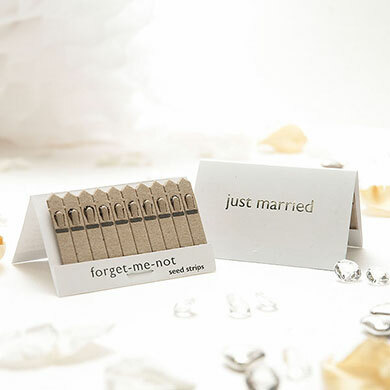 They have a ridiculously large selection of gorgeous wedding accessories that will complement your wedding theme and show that you have a mind for the details. One fantastic way to keep the costs down is to go for a vintage themed wedding. A vintage, or second hand, wedding dress can be far cooler than a brand spanking new wedding dress, and can mean the difference of thousands of pounds. 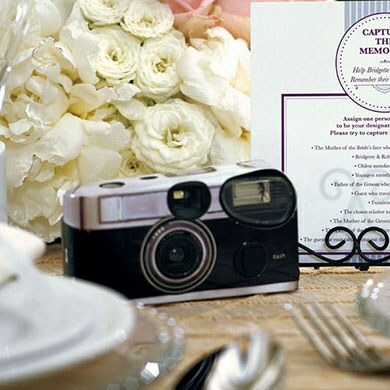 If you then continue with the theme throughout your wedding, it allows you to keep the costs down in all of the other areas of your wedding too. You can purchase a range of vintage accessories from Confetti that will add to the look of your wedding, without you having to fork out a fortune. Remember, a wedding lasts a day, a marriage is for life – so your money could be put to better use. 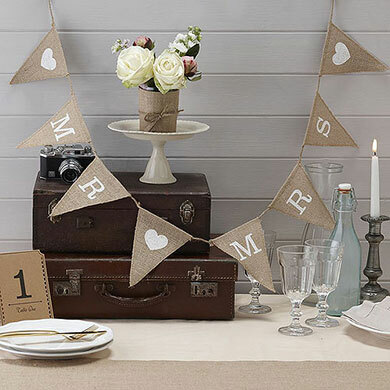 This gorgeous vintage tea party style bunting can be draped around the top table, or behind the cake table. We love how it looks in the picture with the vintage suit cases – inspiring ideas of romantic honeymoon travels. 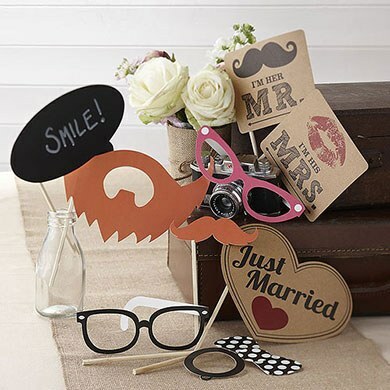 Keep your guests entertained at the wedding and get some rather special, vintage themed photo memories from your big day, with this Vintage Affair Photo Booth Kit. 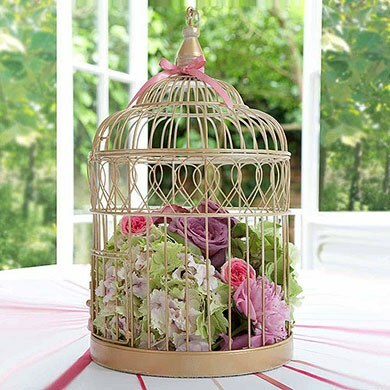 If you are decorating your own wedding room, create strong visual interest with plenty of items at different levels. 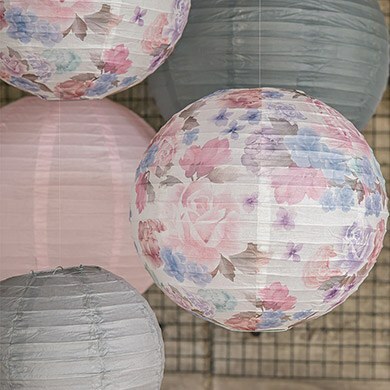 These round paper lanterns fit the bill perfectly. You can hang them at different heights, and mix and match coloured with plain lanterns to make a beautiful feature. 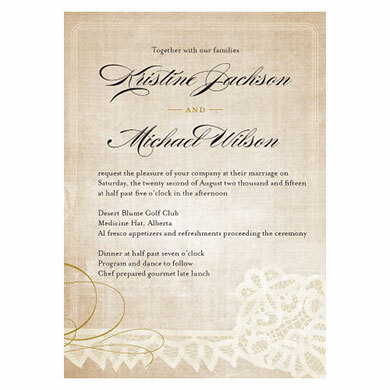 We love the vintage lace collection, which includes table signs, invitations, save the date cards, thank you cards, name cards, and even water and wine bottle labels. Go one step further, and order the Deluxe Package from WeddingHand.co.uk, and we’ll make you a website that matches the theme perfectly, according to your specifications. If you manage to get these at the sale price, you have got yourself an amazing bargain. Stuff them with lace, dry or fresh flowers to complete the vintage dining table look. You can’t be everywhere at your wedding, but if you dot a few of these around the room, then you can how your guests saw your wedding. A great way to prolong the delights of the day; plus it gives your guests something to entertain themselves with. Although they are not entirely vintage, we just love these so we thought we’d include them in our list anyway. Your wedding guests can take the seeds home and grow beautiful forget me not flowers after the day. What a way to thank them for being part of your special day. Plus they look elegant and beautiful on the wedding table. Next post Getting Married in Miami!